The Martini Open 2018 and Bacardi Seniors Cup 2018 Tennis Tournaments are underway at the Pomander Gate Tennis Club. 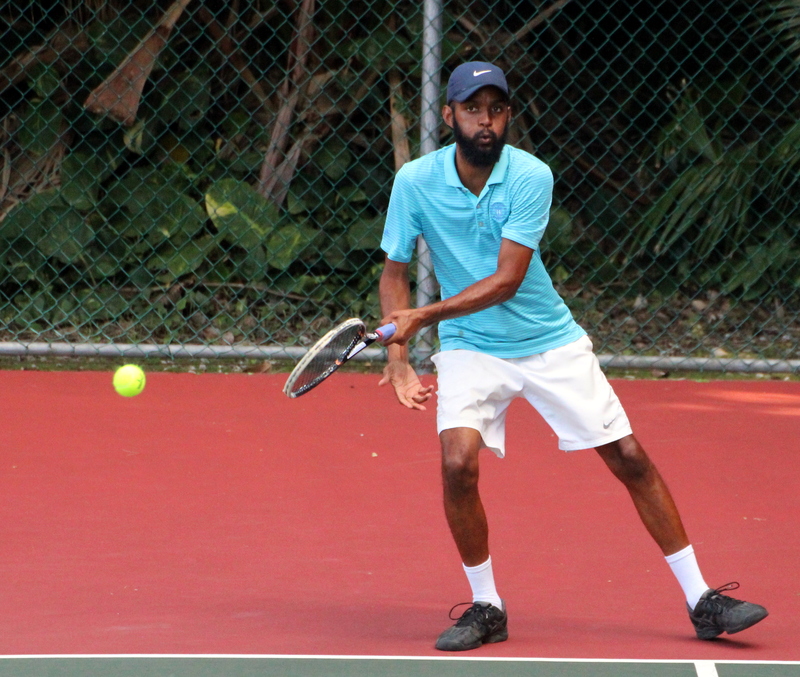 In Men’s Singles play Gavin Manders down a set and 3-0 in the second retired due to injury against Jovan Jordan-Whitter, while Sam Butler defeated Yves Doyon in straight sets 6-1, 6-0. Neal Towlson needed three sets to defeat Jenson Bascome 6-2, 4-6, 7-6 and the Doubles team of David Thomas and Jordan-Whitter defeated Rickai Burrows and Denzil Hollis in straight sets 6-0, 6-3.